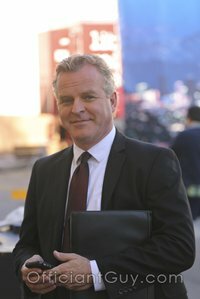 I have been a wedding officiant in Los Angeles for many years and I have performed many civil wedding ceremonies and religious wedding ceremonies in many Hollywood Wedding Locations. Some have been at the Studios at Paramount Pictures. When it comes time to celebrate the milestones in your life, it only makes sense to go to the place that’s been making memories for almost 100 years. Paramount Special Events offers 5-star service to help you create your once-in-a-lifetime celebration that all your friends and family will remember forever. Have your complete fantasy wedding come true in Paramount Pictures lot. The experienced staff of event producers, coordinators and chefs offer 5-star service in creating and producing your wedding. There are 10 locations around the lot from the Production Park which is a perfect setting for small receptions and weddings with a capacity to 300 to the New York City movie lot that can accommodate up to 5000 wedding guests. Now, that’s a large wedding! The sky’s the limit and your wedding dreams can come true at this movie lot. 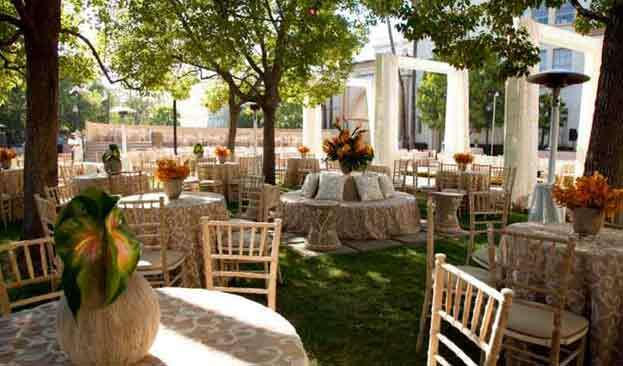 Go to www.paramountspecialevents.com to find out about having your wedding and reception at Paramount Pictures. If you are looking for a ceremony or reception venue in Los Angeles or Orange County, California then consider Paramount Pictures. 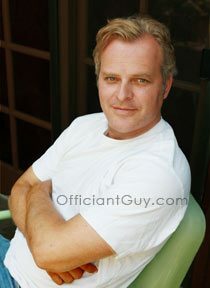 This wedding officiant, the Officiant Guy, would love to be your wedding minister.